A tribute luncheon was held last week in honor of prominent alumnus and trustee Frederick M. Price, who passed away in July of this year. At the lunch, this dear friend to the College was inducted into the Peirce College Wall of Fame. The Wall, introduced in 1990, recognizes individuals for their outstanding contributions to Peirce. Mr. Price is the 37th member, and his photo will be displayed on a plaque at the main entrance of the College at 1420 Pine. Mr. Price graduated from Peirce in 1964, served on its alumni board in the 1970s, and held a position on the board of trustees since 1999. 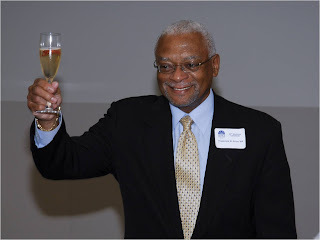 He was chairperson of the College's Institutional Advancement Committee and a member of its Executive Committee. Peirce College President James J. Mergiotti spoke from the pulpit at the service held for Mr. Price in July 2010. 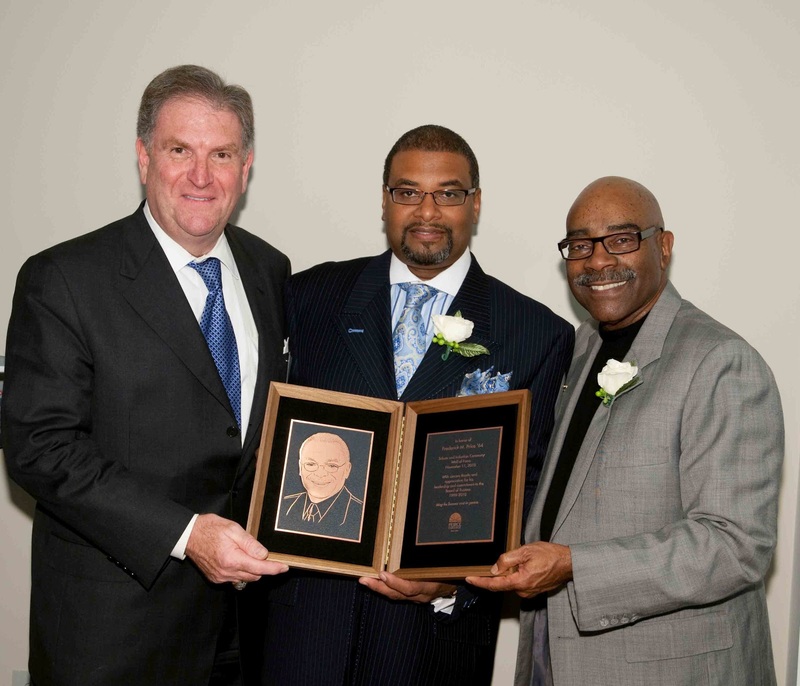 He said, "Peirce could not have been more fortunate than to have Fred Price as an alumnus, trustee, and friend. He was very grateful for his Peirce experience and very generous with his time, talent, and treasure. His contributions will continue to have a very positive impact on Peirce students for many years to come. Today, as we pay tribute to him and celebrate his life, we are reminded of and thankful for his leadership, wisdom, and counsel. There is no better legacy than the one he left at Peirce. His life made the lives of others better." 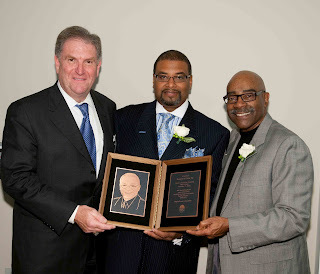 Members of Mr. Price's family were present to celebrate his life and contributions to Peirce, including his son, Frederick M. Price III, and his brother, Floyd Price, who accepted the Wall of Fame plaque. We are proud to have known Mr. Price, and glad that we can honor his memory in this way.